Do you have a tailored financial plan in place? A financial roadmap can motivate you to save money, help you meet your financial goals, and improve your overall financial security now and in the future. 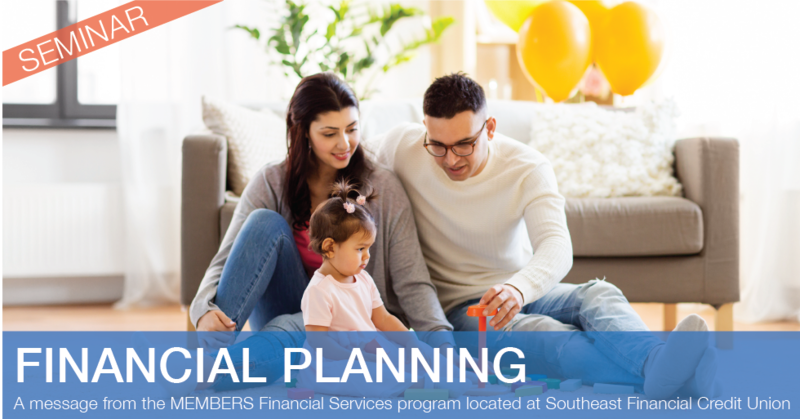 Everyone can benefit from a financial plan that is tailored to individual needs and circumstances. How to construct a budget. The importance of establishing an emergency fund. You'll also receive a complementary workbook created just for this presentation. The workbook contains key information, worksheets, and questions to help you remember important points from the seminar. After registering, you'll receive a confirmation email from MEMEBERS Financial Services. Questions about this event? Email kwright@southeastfinancial.org.